At the Family Law Office of Kelly L. Lynch in Folsom, California, I offer a client-centered, compassionate approach to solving your Divorce and Family Law related legal problems. As a licensed California lawyer for over 20 years and a divorced mother, I understand how to be the strongest advocate for your legal needs on both a personal and professional level. I know the importance of building harmonious systems to deal with your spouse or ex-spouse regarding issues of child support, child custody, visitation, alimony and paternity. I prefer to avoid the added costs of the court system when both parties can behave in an amicable manner. My goal is to achieve the best result for you and your children. If your divorce is not amicable and you are dealing with an uncooperative spouse, my experience as a senior trial attorney for a Fortune 500 company will serve your needs well. I know that every family and family law case has different needs to be addressed during the divorce process. I offer both full representation and unbundled legal services. 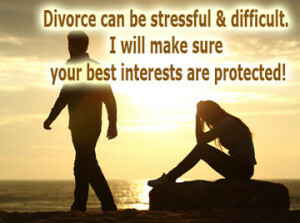 In cases of uncontested divorce, also known as amicable divorce, I can help you through the process with minimal costs. My approach is straightforward. I will listen to your legal problem; we will then discuss the best legal and practical solutions to help you resolve your legal problem. We will also discuss the potential time and costs involved. I am a sole practitioner and each of my clients is an important individual. Once we agree on a strategy, I will work one-on-one with you through the legal process. That is another great advantage of hiring me as your attorney. I know that quality of life and peace of mind is important for my clients. When you become my client, I will provide you with tools to help keep you informed and up to date on your case. I am always happy to communicate with my clients personally. I also provide you with an easy to use, personalized, secure, on-line client portal where you can check the status of your case, communicate with me, upload or review any important documents and make payments. Divorce is an emotional and complex process. 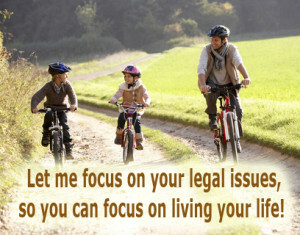 My goal as your attorney is to make sure that you and your children’s best interests are fully served. I will help ease your mind by keeping you informed about your case and your best legal options.